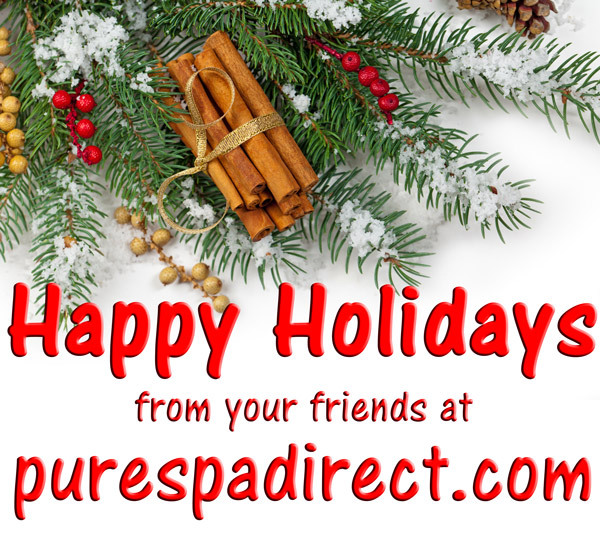 Holiday Greetings and Wishes from Pure Spa Direct! During the Holiday Season, Pure Spa Direct would like to wish all of you a world of good wishes. One of the real joys this holiday season is the opportunity to say thank you to our loyal clients - may you be blessed with laughter, peace, and love!